WASHINGTON (Reuters) – A little history was made in Washington on Thursday – little in the form of a newborn who became the first baby ever to appear on the floor of the U.S. Senate during a vote. A swaddled 11-day-old Maile Pearl Bowlsbey arrived on the floor of the chamber carried by her mother, Senator Tammy Duckworth, as the Illinois Democrat came to vote on President Donald Trump’s nominee to become head of the NASA space agency. The historic mother-daughter arrival was made possible by a change in Senate rules late on Wednesday, enabling young children of senators to be brought onto the floor of the chamber during votes. 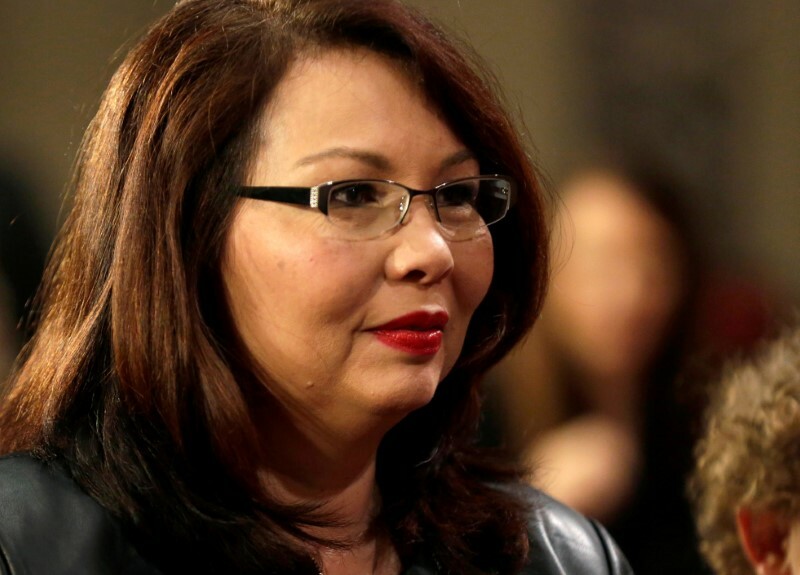 Duckworth, an Iraq war veteran who lost both her legs and partial use of her right arm when her helicopter was shot down during combat in 2004, was greeted with applause in the normally staid Senate as she and Maile were wheeled into the chamber. Vice President Mike Pence was waiting in the wings, not to witness history in the making but in case he was needed to break a potential tie vote on James Bridenstine to become NASA administrator. In the end, Pence was not pressed into action for the 50-49 vote confirming Bridenstine, which a pink-capped Maile slept through.